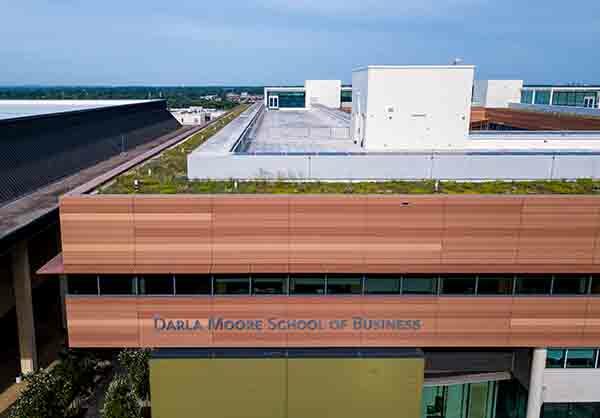 University of South Carolina - Darla Moore School of Business | public | Living Roofs Inc.
One of the most efficient buildings in South Carolina. 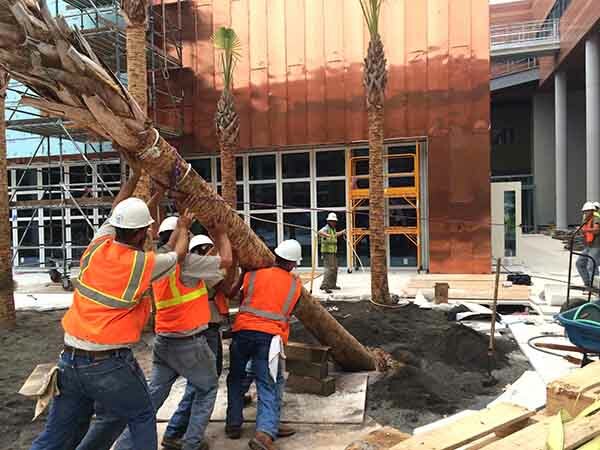 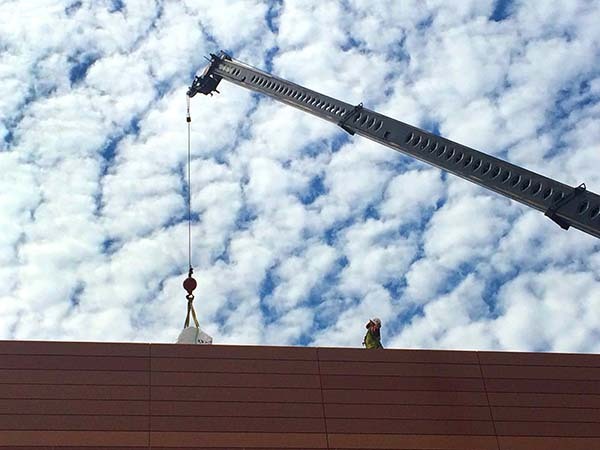 The Darla Moore School of Business is one of the newest construction projects on the campus of the University of South Carolina. 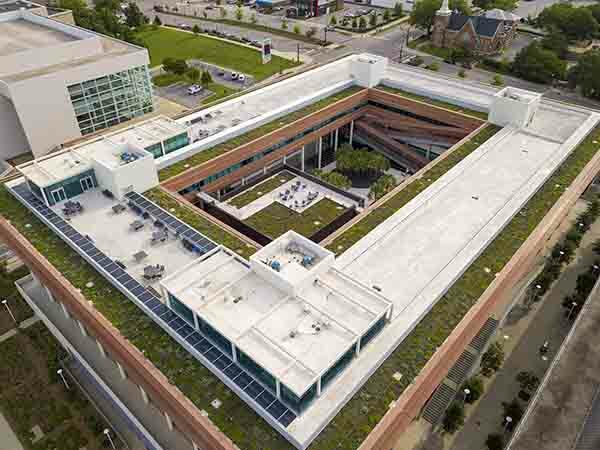 Completed in 2014, it is one of the most efficient buildings in South Carolina, attaining LEED Platinum and Net-Zero Ratings. 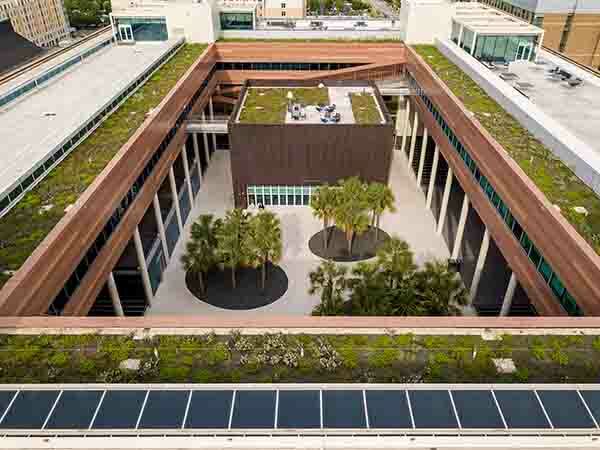 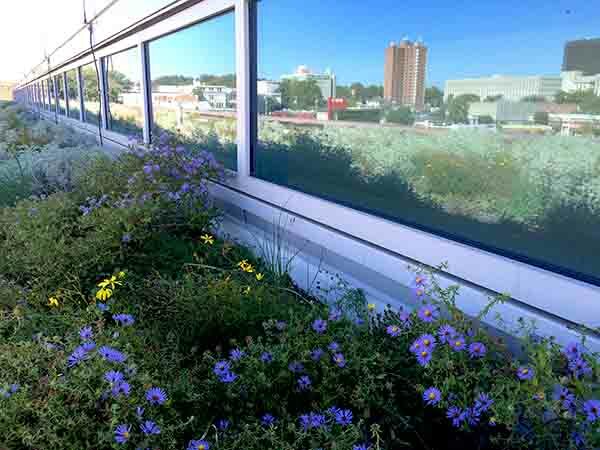 The 28,400 square foot accessible green roof includes plazas & walkways, helps cool the building during summer, and significantly reduces the buildings' storm water runoff.